Two leading academics form Cardiff Business School are behind the public launch of the Responsible Innovation Network (RIN), which took place at Cardiff’s CLINK Restaurant on March 16 2016. Dr Tim Edwards and Professor Luigi De Luca founded the RIN in late 2015. It is a multi-stakeholder and interdisciplinary network designed to encourage collaborative research between Cardiff University’s academics and external constituents. The aim of RIN is to promote the understanding, practice, and diffusion of responsible innovation. The launch marks the network’s emergence outside of the University environment and the beginning of its relationship building with key local stakeholders. 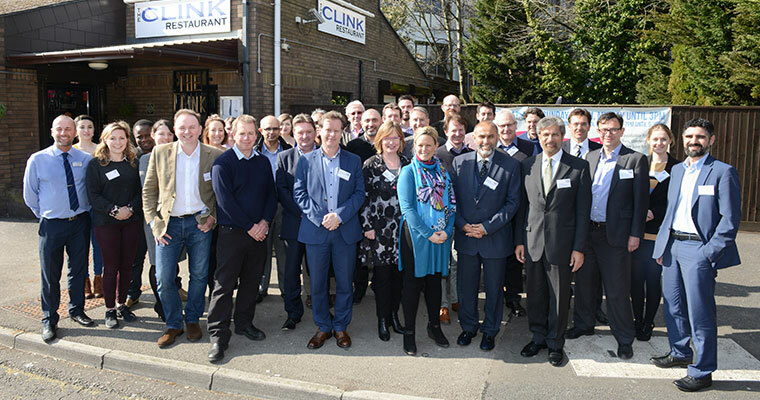 Invited representatives from government, academia, industry and the third sector were present at CLINK Restaurant (HMP Cardiff) for the launch event. They heard more about the network’s objectives, overall vision and future plans from Dr Edwards and Professor De Luca. Cardiff University’s Dean of Engagement, Professor Kevin Morgan, also addressed attendees. Case studies demonstrating responsible innovation in action were presented for discussion. The Islamic Banking and Finance Centre (IBFC) discussed ethical banking while the Vita Green Impact Fund talked about carbon trading for Africa community enhancement and sustainability. The day’s programme of events was designed to encourage debate and interdisciplinary scrutiny, establishing a constructive dialogue for the development of the network as a whole, and the impact it can generate within society. The venue for the launch is run by The Clink Charity whose aim is to reduce reoffending rates of ex-offenders enabling them to learn, engage with the public and take their first steps towards a new life.